Please be aware that these articles & guides are submitted by Forum and Club Members and experiences may vary. Always do your research and get a professional opinion. What is a Celica GT4 How do I know which model is which What fuel should I use? 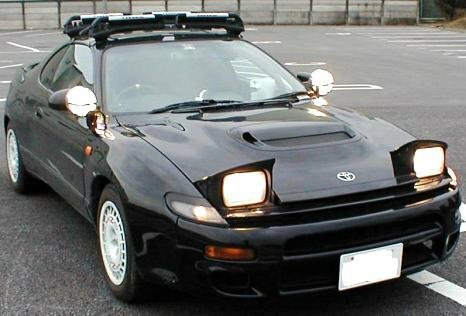 The GT-Four is a turbo-charged, four wheel drive, coupé style sports car produced by Toyota, and is a derivative of the Celica range. Confusingly, it is not known as the GT4 in all markets. In the US, it goes by the name of All-Trac. In Europe, it is badged 4WD Turbo. Other markets know it by the name GT-Four - We use GT4 as shorthand. 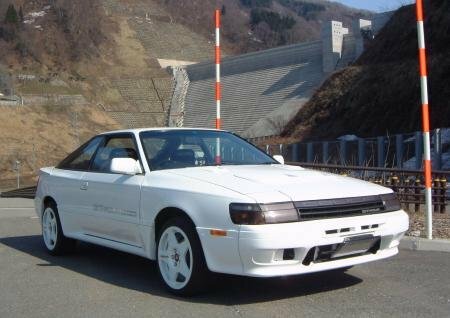 Model runs were quite limited, which probably explains why you are reading this part of the FAQ although the GT4 has been in production in various guises since 1987 and has been successfully rallied by Toyota and privateers for many years. I see lots of references to STxxx on this site, what does that mean? 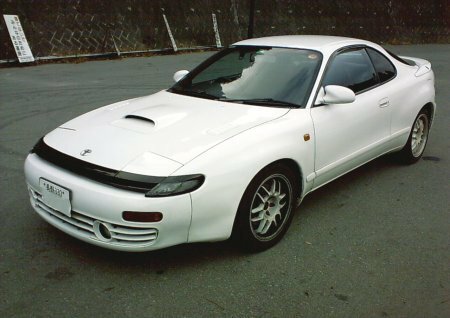 STxxx is the Toyota model code for each generation of Celica. They featured a number of upgrades over the standard 185 cars and indeed share some parts with the later ST205 models. The most notable difference is in the charge cooling system. Standard ST185s have a top mounted air to air cooler whereas the CS/RC versions have a water to air charge cooler system as found in the 165 and 205 cars. As high an octane as possible - 98 octane should be the minimum! How much fuel will it use? 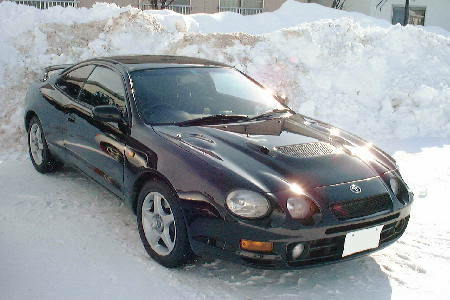 The GT-Four is a performance 4wd car so do not expect great economy. Average on road figures for a standard car would probably work out around 22-27mpg. Those with a heavy right foot may struggle to even reach the lower end of this band. People with gentle right feet have been known to get 350+ miles out of a 13 gallon tank on long runs. So 30mpg is possible but not common! On track expect less than 10 mpg! Brand choice is a very personal thing. Some owners use Castrol, some use Millers, some use Silkolene etc. etc. The Toyota recommendation is for a 10W50 multigrade. The important thing is that any turbo car should be using 100% synthetic oil to handle the extra heat generated by turbo applications. It is worth bearing in mind though that a couple of microns thickness of your engine oil is all that comes between the crankshaft spinning at 6000 rpm and the soft metal big end bearings! Running in a new or rebuilt engine requires mineral or semi-synthetic oil for a limited mileage, usually between 500 and 1000 miles. When should I change the oil? The general recommendation for "average" cars would be 3000 to 6000 miles of "average" use, however, those subjected to spirited use should aim for the lower end of that range and if the car is tracked or run up the dragstrip on a regular basis it might be a good idea to change it in between trackdays. At the end of the day there are no hard and fast rules but as with choice of oil it is worth remembering that oil is the engine's blood. What else should I change when changing the oil? If it has done it's job then the old filter will be full of particulate contaminates removed from the old oil. The last thing you want to do when putting fresh oil in is to run the risk of immediately contaminating it with this! The differential should hold around 5 litres. Some users have experimented with ATF in worn gearboxes. This is an attempt to try and prolong it's life once it has begun to get crunchy on changes etc. While results on the whole have been neutral to positive you must be aware that by doing this you are working outside of the Toyota specified conditions and your results may be negative! What is the wheel bolt pattern for my GT-Four? What is the offset required when ordering aftermarket wheels? Should I use spacers with my wheels? What is the standard boost on my car? What should be my first modifications? What Boost can I run with mild modifications?